I wonder how many of these we’ll see this autumn. It was the top talk when I returned from New York. 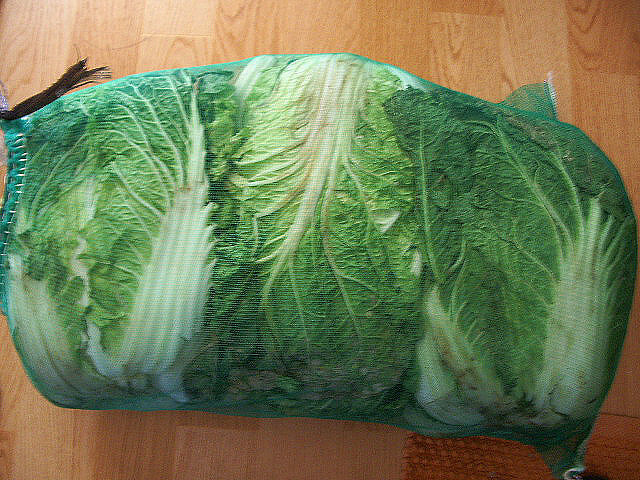 Korea is going through a cabbage shortage. It’s being blamed on the weather, and there is some speculation that farmers didn’t plant so much cabbage this year because the prices were so low last year. Veggies and fruit are generally higher this year. Wasn’t it last year that fruit was high too? I think that was because of the drought in Australia, where much fruit is imported from. EJ and I just returned from the store, and the only plant matter there that was reasonable was grapes. CNN has a story on the cabbage and subsequent kimchi shortage. EJ and I were quoted in the piece. I’m sensing a wait-and-see mood. No panic. But it’s not time to make kimchi yet. I think people are waiting to see what the government will do before reacting. Has anyone else heard or sensed anything? UPDATE: Just heard this on the radio. Cabbage prices are coming down because of imports from China and some extra domestic production (? ).